Ya’ll, I love being a mama. Moose & the Bean are the most incredible little balls of awesome that I have ever imagined in my wildest dreams. It is my greatest honor to be their mommy and to help them grow up to be the best people they can be. That being said, this mama could use as many breaks as I can get! That’s why I love Mother’s Day! A whole day devoted to moms! We’re usually pretty low-key around here, but I’m built up a little list of some super-fun, amazing gift ideas into a Mother’s Day wish list for crafty moms! If the crafty mama in your life is anything like me, they are constantly ready to learn more techniques! Check out Craftsy for some fabulous gift ideas. They offer classes on knitting and crochet, baking, gardening, you name it! Not only does Craftsy have tons of online classes that you can take anywhere, at any time, but they also have supplies and patterns, too. 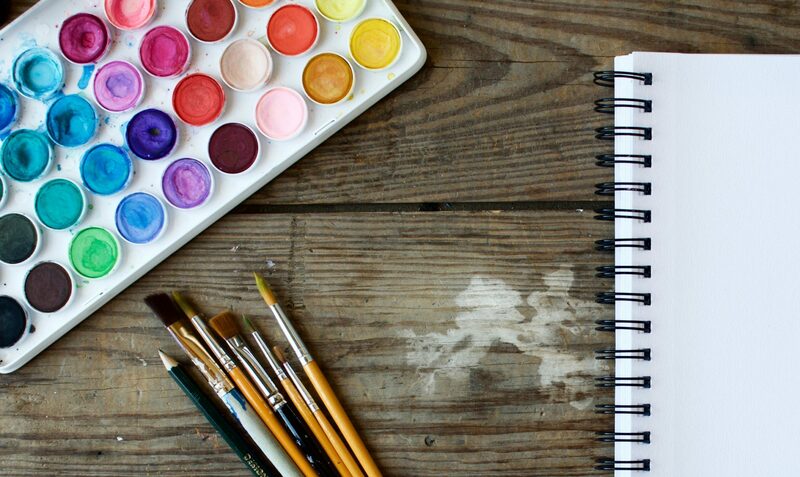 Creative Live is another online learning site with classes geared towards creatives. They have loads of free classes broadcasting 24 hours a day, plus more you can purchase and own for life. For those crafty ladies who are looking to start a business with their work, Creative Live also has an entire section devoted to the finances and money management. Not sure what classes to get? Pick up a gift card! Home Made Luxe is a craft subscription box. Each monthly box contains all the materials you need to create a gorgeous home decor craft project. They like to call it Pinterest In a Box! You can choose a single month, or a multi-month package, and they even include video instructions. So fun! One of my crafty goals for 2017 is to learn brush lettering, and these Sharpie Brush Pens are the perfect tool! Beautiful bold color, but without the budget-busting price for beginners. If there’s one thing that maker’s can usually agree on, it’s that they need more storage for all their supplies. This Medium Rack Storage System by Creative Options has tons of both large and small drawers. Plus, it’s portable for your crafting-on-the-go needs! If rustic farmhouse is more your speed, check out this Wooden 9-Compartment Planter. I could easily fill up all of those little cubbies with crafty little knick-knacks! It’s just so simple and pretty! I have a new craft apron on my list this year. I’m loving the extra pockets on this one! Now for the fancy gifts! Circut machines have been around for a few years, but the new Circut Explore Air 2 can do just about anything you need. It can cut through over 100 materials quickly and easily, and works it with Bluetooth technology, so you don’t need to worry about wires dangling all over the place. You can upload your own designs or use Circut’s image library. Every type of craft you could dream of, from paper craft to t-shirts to home decor is all at your fingertips! Oh, to have sweet, beautiful, crisp photos of my family (and crafts, of course!) The Canon EOS Rebel is the perfect camera for the DLSR beginner, who is ready to take their photographs to the next level. I know I’m ready to put down my iPhone and start getting taking more professional photos, so I’m saving up for this beauty! I hope the ideas I had for a Mother’s Day wish list for a crafty mom gave you some gift-giving inspiration! And Happy Mother’s Day to all the crafty mamas out there and especially to all the mamas in my life! I can definitely think of some crafty moms I know who would love these gift ideas. The Circuit Explore Air sounds pretty cool! Doesn’t it? I could play with that for days! A subscription box is such an interesting and unique idea, there’s always the element of surprise ( and we all know you cant beat that ) and you are given the chance to discover new things/materials/brands to play with! Brilliant idea! I agree, I think it would be so fun to have a surprise delivered to your door every month. There are tons of different types of boxes out there! What a great list! I have never thought about online classes as a gift but it’s a great idea! Thanks, Courtney! There are so many classes I would love to take! These are such cool ideas. I love the idea of the subscription box b/c you can spring mom with love all year round. That circuit explorer air sounds really neat! I agree that crafty gifts from little ones are the best gifts! I used to love making gifts for my Mum on Mother’s Day when I was little. I’m awful at making crafts, but I’d take that Canon EOS Rebel camera any day of the week! It’s like a dream-gift, right? Maybe, someday…. I am a first time mom to an almost two year old and although I am not crafty, I am learning more and more every day how to do things, painting more, and DIY. So much fun. Most of the fun of crafting is just trying new things! Enjoy it and happy crafting! A camera is always a plus in my book! It’s amazing how many items are out there for those who have a number of hobbies. I am not crafty, but my mom is and this is an awesome list! My boy is only a year old at the moment, but i cannot wait to be able to do some crafty things with him. Awww, one year olds are so fun! Happy Mother’s Day, mama! Thank you for sharing this great list. The storage system looks amazing… and no one said you can’t buy your own mother’s day present!